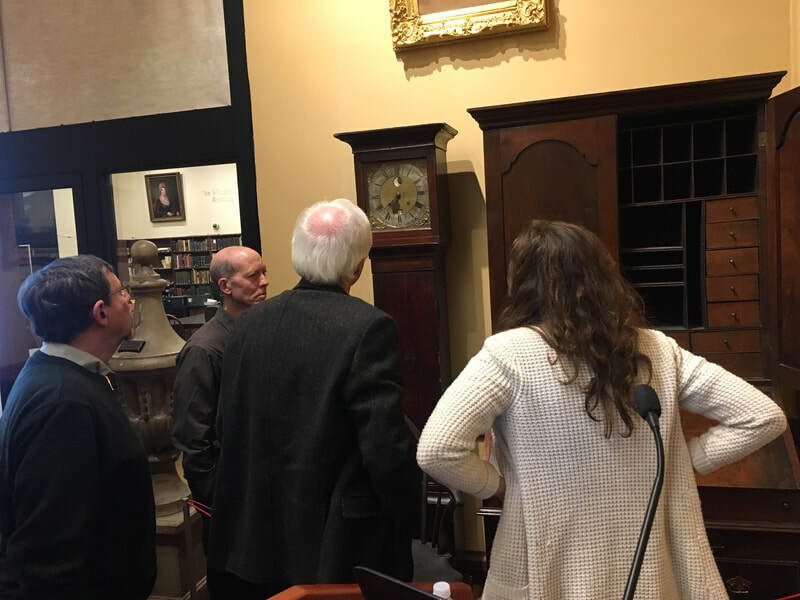 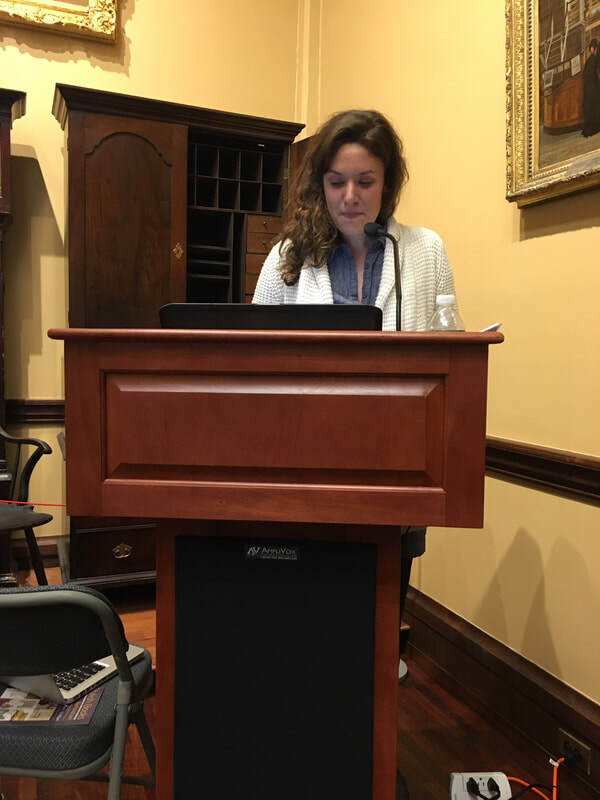 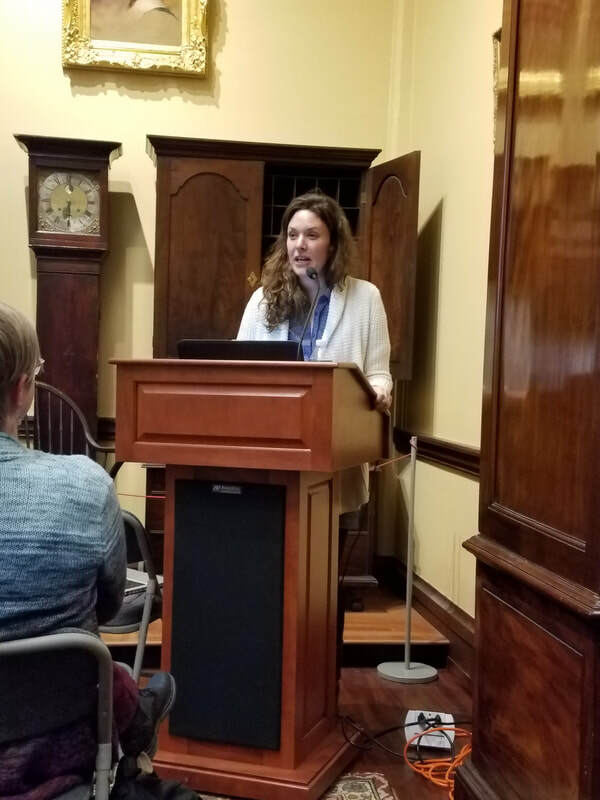 Twenty PACA members joined Friends of the Library Company to hear horologist Lili von Baeyer discuss her treatment of a rare Christopher Souers tall clock from the collection of The Library Company of Philadelphia. 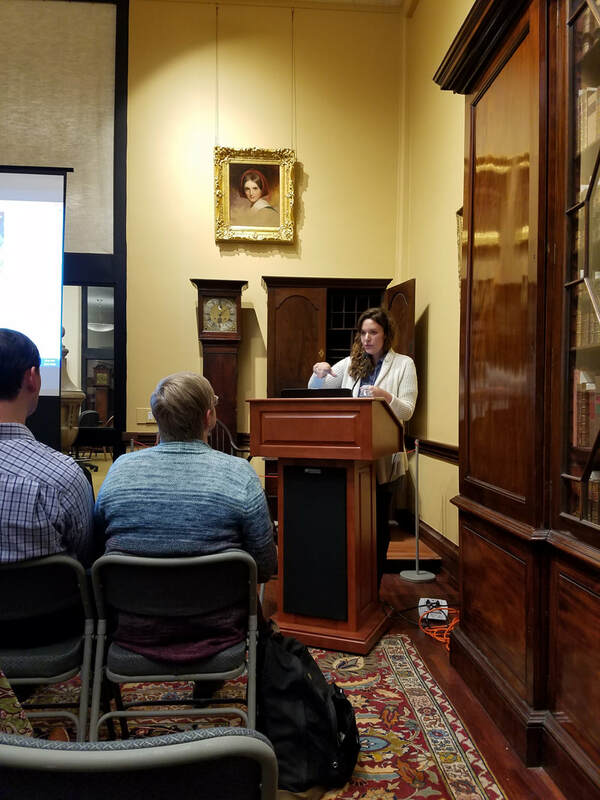 Souers (also known as Christopher Saur or Sauer) was an early 18th-century tailor, printer, and clock-maker from Germantown. 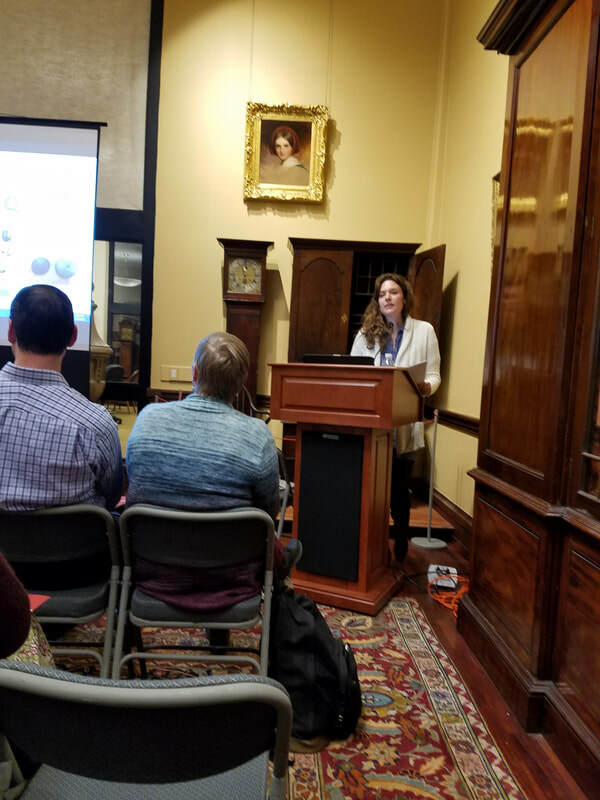 Lili described the challenge of honoring the clock's past while preserving its functionality well into the future. 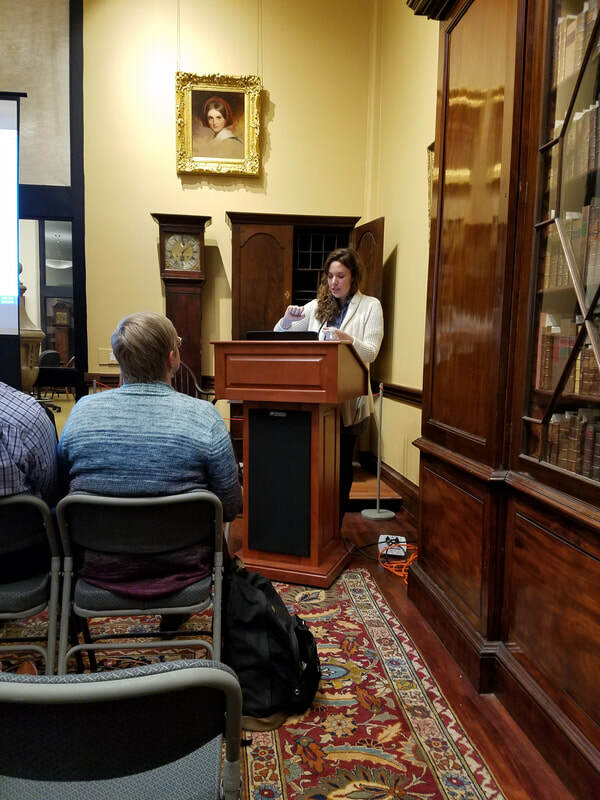 The project confronted her with difficult choices as well as an experience to learn deeper and more nuanced horological methods. 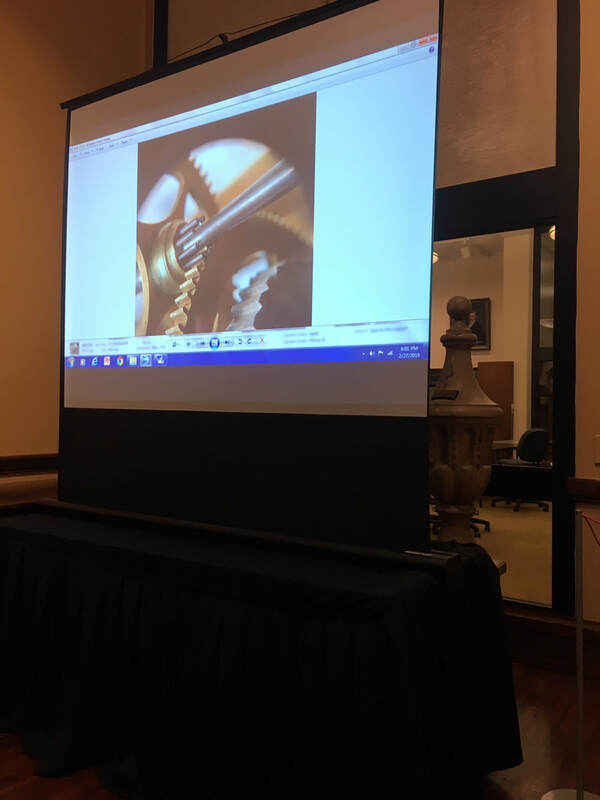 Attendees were able to see photographs of her work on the clock's mechanism while hearing the restored clock chime the hour behind her! 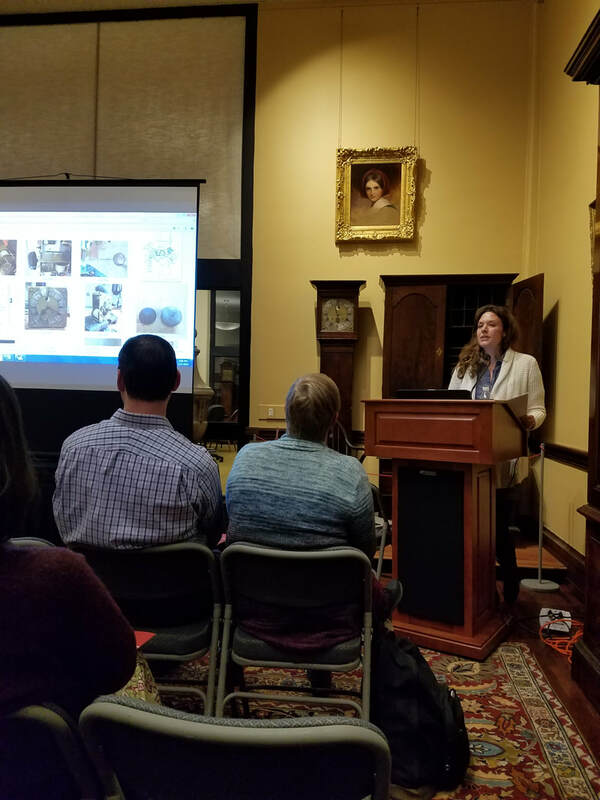 They also had the opportunity to tour The Library Company's current exhibition, Stylish Books: Designing Philadelphia Furniture.